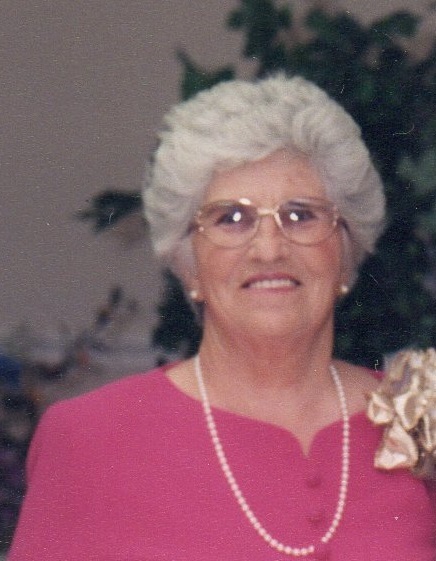 Mrs. Ola Hacker, age 92 departed this life on Wednesday, March 20, 2019 at the Landmark of Laurel Creek. She was born on Wednesday, April 7, 1926 in Manchester, Kentucky to Andrew and Dona Creech Bond. She leaves to mourn her passing her daughter: Carol Garrison and her husband Monroe, her son: Donnie Hacker and his wife Marty. Her grandchildren: Wes Garrison, Jason Garrison and Cindy Dezarn, her great grandchildren: Cole and Skyler, Taylor and Cooper as well as her sister: June Morgan. Also surviving is her caregiver: Stella Davidson and others that gave her special love and care over the years. She is preceded in death by her parents: Andrew and Dona Bond, her beloved husband: Billy Hacker, her sister: Eula Burns and her brother: Buster Bond. In lieu of flowers, the family has requested donations be made to The Gideons International. A celebration of life for Mrs. Ola Hacker will be conducted on Saturday, March 23, 2019 at 2 PM at the Manchester Baptist Church. Rev. Ken Bolin will be presiding. She will be laid to rest next to her husband Billy in the Manchester Memorial Gardens. The family will receive friends and loved ones on Saturday after 12 PM at the Manchester Baptist Church.